SOLD OUT! 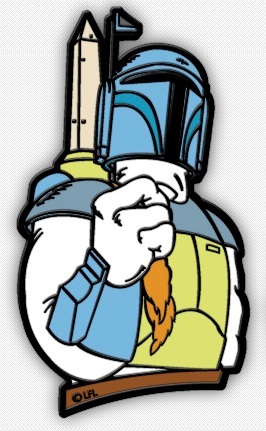 The DCSWCC 2008 Charity Pin features animated Boba Fett with DCSWCC's signature Washington monument as his rocket. Third in the series of high-quality cloisonne pins, officially licensed by Lucasfilm Ltd. Each pin is individually stamped and numbered -- only 1000 of these pins will ever be made! All proceeds benefit the Aluminum Cans for Burned Children Program whose mission is to prevent burns and improve the quality of life for young burn survivors and their families in the Mid-Atlantic region. ACBC provides funding for research, annual therapeutic residential burn camps, and other year-round activities that support their physical, psychological, and social needs.